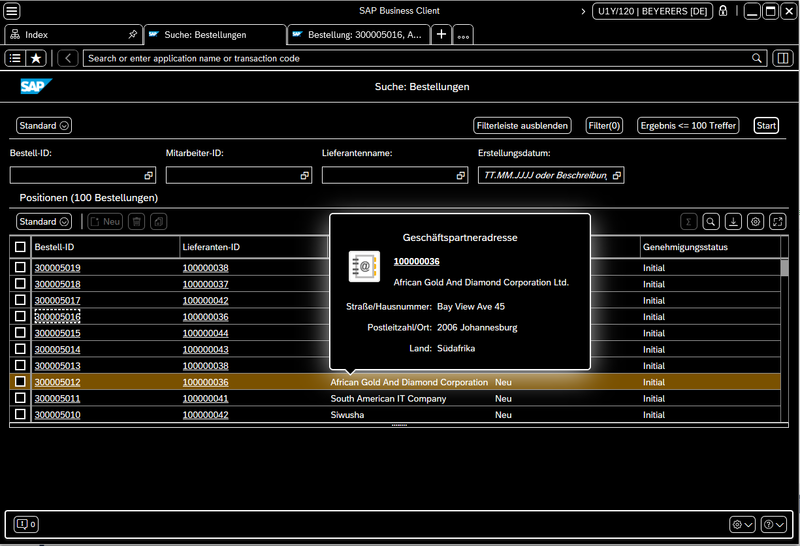 We are delighted to launch a new version of SAP Business Client (7.0) together with the new SAP GUI for Windows 7.60. The new functions in 7.0 go a long way to providing what our customers have been asking for. The branding image is taken from the custom theme (FLP and SAP BC connections) unless the option “Use SAP GUI theme” is set or there is no branding image set in the custom theme. Users can choose their own custom themes. 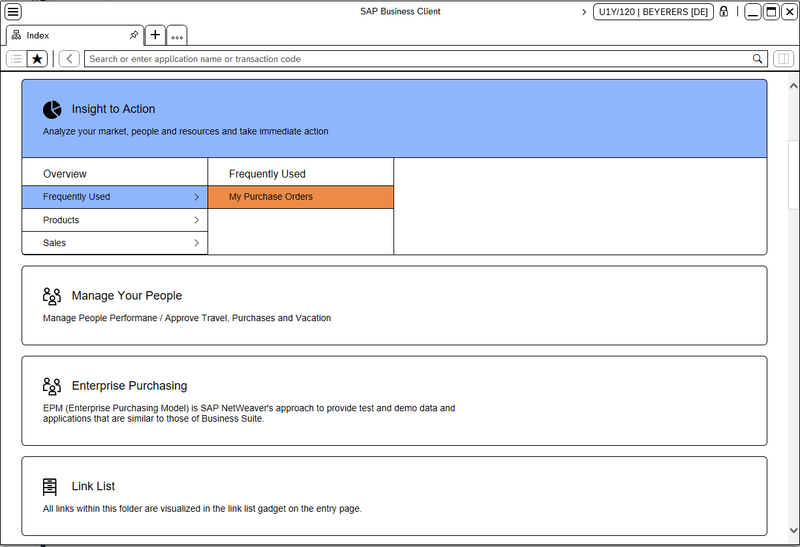 For the FLP connection, SAP Business Client adopts the theme specified in the Fiori launchpad configuration. For the SAP Business Client, end users can choose from a variety of custom themes provided for systems. For better accessibility, we have introduced two more themes: High Contrast Black and High Contrast White – corresponding to the SAP Belize theme. 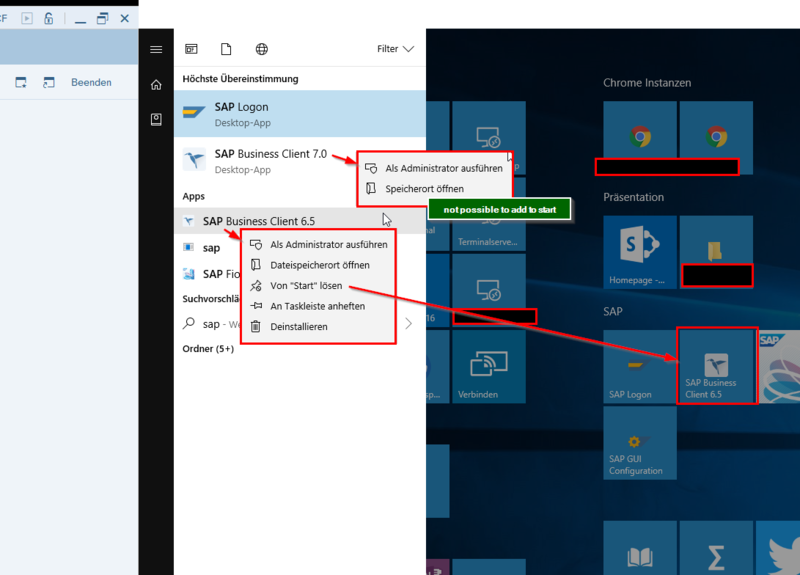 With SAP Business Client 7.0, you can now import your favorites (Business Client and FLP connection type) and your SAP Easy Access favorites (Business Client connection). Default Connection: You can define your favorite connection as the default connection. This will then be highlighted with a favorite icon (star). The administrator therefore has to change the behavior of SAP Business Client in the administrator configuration file, NwbcOptions.xml. <!-- The UUID of the defined default connection. Can be found in the SAPUILandscape.xml-file as the serviceid of the required connection. Web Dispatcher: Administrators can define web dispatchers for usage in FLP and SAP BC connections. If web dispatchers are available for a system, they will be proposed in the system properties dialog before application servers. thanks for the interesting article which prompted me to install the new version. However it does not seem to be available (yet), while SAPGUI 7.6 is available. Hi Wolfgang, you are an early bird 6:58. Download went live short before 10. BC7 is included in the SAP installation, just run SapNwBcSetup.exe to install it separately or SetupAll.exe and it is included in the list of software that can be installed together with the SAP GUI 7.60. Is it possible that the use of SBC with Chromium does not work yet? When I start a Fiori Launchpad connection, everything closes after a short time. If i change the Browser-Control to Internet Explorer, all works fine. Any plans to SAP business client to start supporting microsoft edge browser , as IE is going away soon ?. Microsoft plans to use also Chromium also in edge. 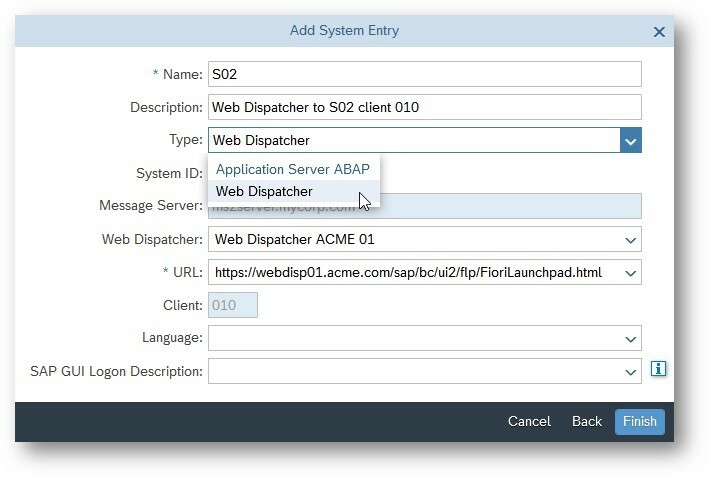 We would like to use web dispatchers to access the Fiori from external with SAP BC7.0. Wondering if SAP BC7.0 is able to support “SAPGUI for Windows” when access from external. depends on what is meant by “external” in your scenario. Could you provide details? While trying to perform any recording from external tool, SAPGUI 760 session is opened. My requirement is to open a session in SAP Business Client 7.0, where we can have multiple tabs. Is it possible with current version of Business Client? When I checked via NWBC 5.0 (installed with SAPGUI 740), NWBC window gets opened for recording. the current version is SAP Business Client 7.0, PL1. And yes, multiple tabs/SAP GUI screens can be displayed. NWBC 5.0 is out of support.